As the season winds down, we have the last major update post for the fates of all your favorite reality shows! Genius Junior: After a mediocre at best start (1.0 in the golden 18-49 demo), the kids talent show fell to a rough 0.7 this past Sunday. These ratings are average at best, and are certainly not lighting up the charts by any standards. With the ratings more than likely to fall even lower before the season ends, NBC will most likely decide to cut their losses and end this show after one season; especially considering the strong successes that NBC has on the reality slate, as well as the jam packed schedule they always give themselves. Little Big Shots: Down a sharp 31 percent year to year, the once massive talent show has certainly seen better days, fizzling out fast this year. Season three is currently averaging a 0.95 A18-49, which is not terrible, but it is also not amazing. The ratings this season have been all over the board, ranging from 0.8-1.1, however, I still believe NBC will not give up on it yet. Unless the ratings take a much harsher drop for the rest of the season, it should make it out alive. As I always say, reality shows are much more cheaper than regular shows, so the lackluster ratings here are compensated for with the costs. 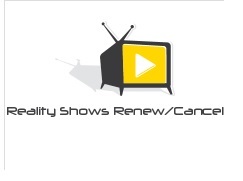 It also helps airing on the network that has been wanting to renew every single show these past two years. Stay tuned for future updates as we see where the ratings go and what that means for the fates of all your favorite reality shows. What do you think of these predictions? What are you predicting? Let us know in the comments below!